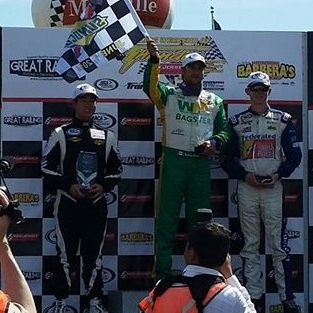 Matt Tifft and the Ken Schrader Racing, Federated Auto Parts, race team equaled their best result of the year Sunday in the Great Railing 150 ARCA Racing Series event at the New Jersey Motorsports Park Road Course with their second straight 3rd place finish. NEXT EVENT: Next up will be the ARCA Pocono 200. It will be Matt’s first time at the “tricky triangle” track and by far the largest track he has competed on.